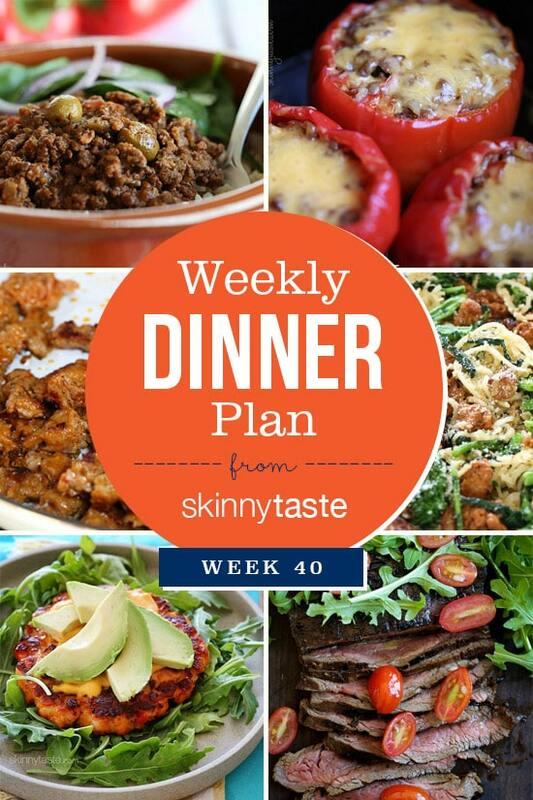 Skinnytaste Dinner Plan (Week 40). So things are getting pretty crazy around here, many of you may have seen that I finally had my new cookbook in my hands for the first time! I hope everyone saw this sneak peak video I posted and I hope you all are as excited as I am! I am a new “fan” just back from a two week visit with my cousin who uses your recipes at least four times a week. My husband, who is known as That Cute Guy I Married (51 years and counting) is a Type 2 Diabetic (20 years with no problems) and I make most of the meals he and I eat. We were getting tired of the menus we have been using so your take on healthy from the meals with had with my cousin came home with us. And we have added a few new ones. I am off to the bookstore to purchase one or two of your cookbooks too. Thank you so much for helping two seniors “mix it up”! Thank you and welcome! Hope you enjoy! 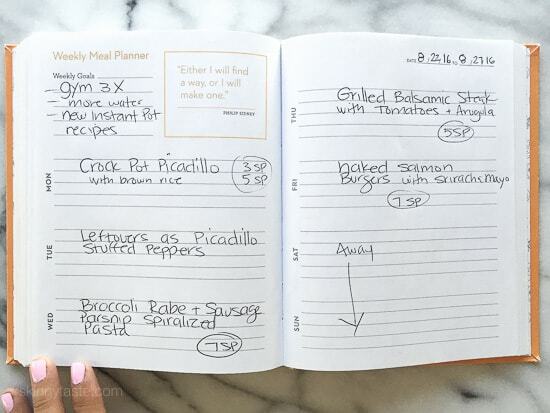 There is a picture in your mealplan above that has no name. It’s the middle picture on the left. What recipe is that? It looks DELICIOUS! I was wondering at what point would you add the raisins (and what type) to the Crock Pot Picadillo. You can add them with everything before cooking.